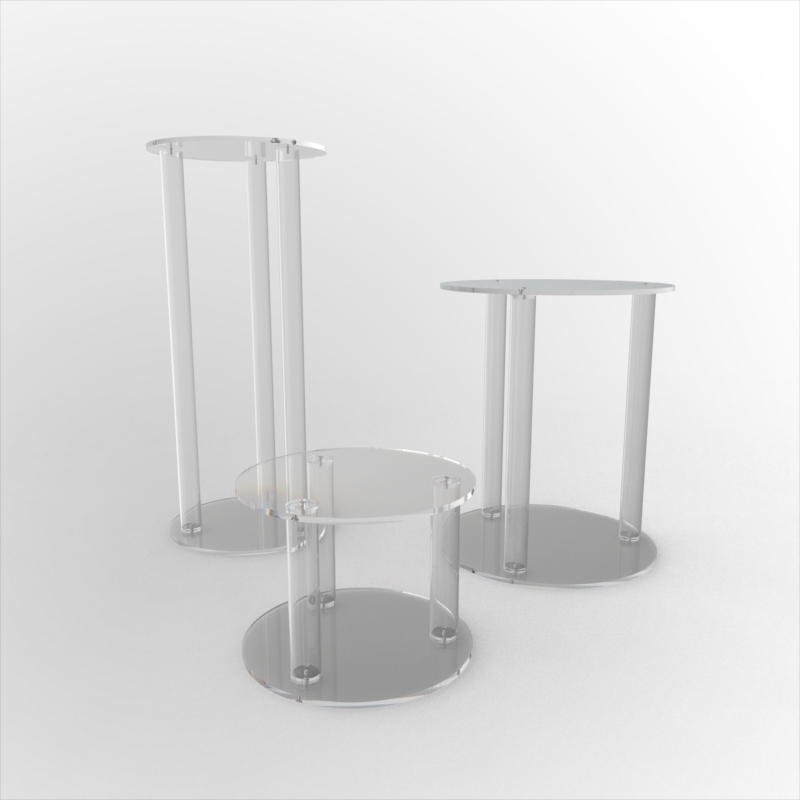 Clear acrylic pedestals with 10mm thick tops and bases separated by lengths of 50mm diameter tube. The bases can be unscrewed from the tubes making it easier to store and move. Sizes listed are made to order in 2-3 weeks.